> Lexus RX to get seven seater variant? 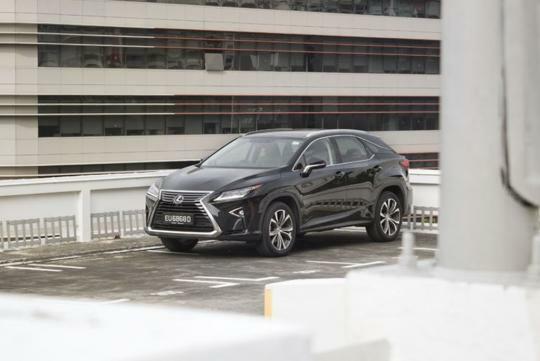 Lexus RX to get seven seater variant? A Japanese website has reported that Lexus will use the Tokyo Motor Show in January to unveil a Lexus RX with a third-row seat. According to Mag-X, the large SUV will reportedly have the same wheelbase as the normal variant but will have a slightly different to provide enough room for the two additional passengers. Interestingly, the article mentioned that the passengers in the last row will be in for a squeeze as both leg and knee room will be limited. Power options are said to be similar to what we have now a.k.a the RX450h's 3.5-litre V6 that is combined with a hybrid powertrain that outputs a total of 308bhp. If they not going to lengthen this car, I don't see how they can squeeze in a 3rd row. Then again engineering marvels can result in amazing end products so I look forward to see how this 7 seater will pan out! If they does that which is good but they will be in running competition with Q7 and the XC90. Both are very well engineered. looking forward to the day. however, I do hope Lexus will have a stronger engine.